Aware that many HOT readers care about Local Wildlife Sites, their preservation and conservation, here is some information about government proposals which will be of interest – and a petition to sign. HOT’s Zelly Restorick posts: Help stop government proposals to remove protection for Local Wildlife Sites. Deadline 10 May. From ancient woodlands and flower meadows to wildlife oases in our cities, there are thousands of quiet, often unnoticed places where wildlife thrives. They are known as Local Wildlife Sites and there are more than 42,000 in England. Together they make up 5% of England’s land area. Local Wildlife Sites are recognised in national planning policy which protects them from being developed for housing, roads or industry. Even with this protection, some are lost each year. Now, the Government is proposing to take all reference to Local Wildlife Sites out of the National Planning Policy Framework. This means removing protection for all Local Wildlife Sites. This means “unprotecting” 42,000 unique places where our soils are healthy and our wildlife can thrive – and with this our society. It means unprotecting 5% of the country’s land area – that’s an area of wildlife-rich land the size of Devon. We cannot let this happen. We don’t believe in unprotected sites. We believe this could be a disaster for our wildlife. If the Government is to achieve its ambition to be “the first generation to leave the environment in a better state than it found it” , it must reverse this proposed change to the planning rules. Because our Local Wildlife Sites lie at the heart of nature’s recovery. A recent survey of over 6,500 Local Wildlife Sites showed that 16% had been lost or damaged in the last five years and loss to development was a significant cause within this . This is happening even with the basic levels of protection – imagine what could happen when there’s none. We must not let the Government forget Local Wildlife Sites and leave them unprotected. Please stand up for Local Wildlife Sites and demand that they are reinstated to the National Planning Policy Framework. A consultation on the proposals is now open and closes on 10 May. Our form will help you respond to the relevant questions in the consultation. All you need to do is add your details, and we encourage you to also add your views about why Local Wildlife Sites should be protected. Thank you for taking action for Local Wildlife Sites. This is part of The Wildlife Trusts’ Act Swiftly campaign calling for future planning and farming policies to protect wildlife and help it to recover. Link to The Wildlife Trust’s website about Local Wildlife Sites and a link to The National PlanningPolicy Framework and wildlife: our initial response by The Wildlife Trust. I/we all, must acknowledge fact that administration of our Borough is a mammoth task requiring dedicated professional public servants and local councillors, that in the main this council does well. 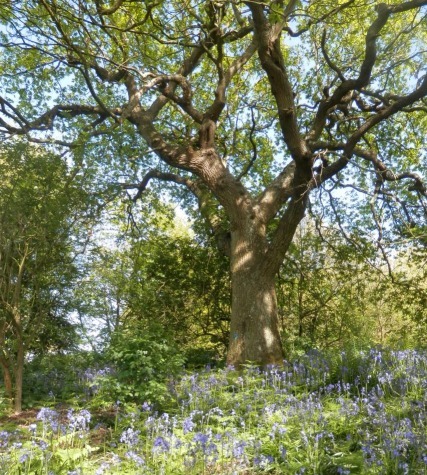 However, experience in Gillsmans Hill from 1996 is the Council’s tolerance (or complicity) in land owner/developer’s abuses of wildlife fauna and flora within designated Ancient Woodland and Buffer Zone; felling century old Oaks and Yews; crowning recorded Bat Roosts; failing to defend own 2013 TPOs – when roots were being excavated back to trunks along our boundary; obfuscation of a new badger sett started on site boundary; also our own 1997 evidence of nightly badger shootings (for which the officer responsible denies memory or records, that I have resupplied); and the 2000 Hastings Badger Survey evidence of badger (baiting) pits; etc. I felt compelled to sign the petition – for whatever good that might do. It’s also really important to go to the consultation link as well as the petition. Responses to these consultations do have weight if enough people respond. Although as Andrea said the existing legislation didn’t protect Hollington Valley. In a report supporting the Hastings Local Plan the independent consultant advised that 9 of the 33 Local Wildlife Sites – for which the Borough Council was the supposed guardian – had already been so badly neglected that they should be dropped. In addition to signing the petition pressure should be put on the Council to upgrade wherever possible the existing wildlife sites – as they have recently done for, for example, Ponds Wood – so that they will continue to have (enhanced) statutory protection. I’m all for saving local wildlife sites and will sign the petition. However, local wildlife sites seem to be afforded almost no protection anyway. The photo at the top of the page is of Hollington Valley local wildlife site, which was flattened to build the Queensway Gateway road, despite huge opposition. The fact that it was an LWS and home to a number of protected species including dormice and bats appeared to make absolutely no difference – the council just wanted the road, and the wildlife was of no consequence. Yes this has to be stopped in its tracks asap. Another way of nibbling away at anything they can build on. That is effectively what it is about. And as for HBC they would just love this to go through. Just look at Robsack meadow where the council wanted to destroy that idyllic site to put apartments on it. Had it not been for the likes of Paddy Stephenson and the supporters she mustered to fight it, right now it would be gone forever. Who has come up with this in the government – the article is not specific. Anyone know ??? We need to prevent this bill being passed – Hastings council is a council who will applaud the abolishment of the Local Wildlife Sites legislation… they have endevoured to build over all manner of protected areas and if the protection now afforded to wildlife sites is lost, it will be a bonanza day for our planning deparment. Don’t let this happen. SIGN THE PETITION NOW.